SimCity is a game that had more than its fair share of issues on release, but has settled down to be a fun game in which 16 players can work together online. 15th November will mark the first full expansion for the game with the Cities of Tomorrow content; it includes new regions, transportation and technologies, all from 50 years in the future. With SimCity Cities of Tomorrow, players can build the future as they imagine it. Transport your Sims on MagLev, power your cities with fusion reactors or tidal wave generators, manufacture a legion of drones to serve your Sims and build massive MegaTowers that dwarf modern skyscrapers. We're giving you plausible technologies to take your cities onto a journey 50 years into the future. What will you create? What the extra content will not provide is any larger maps or offline content, players will have to continue to be online to play regularly. 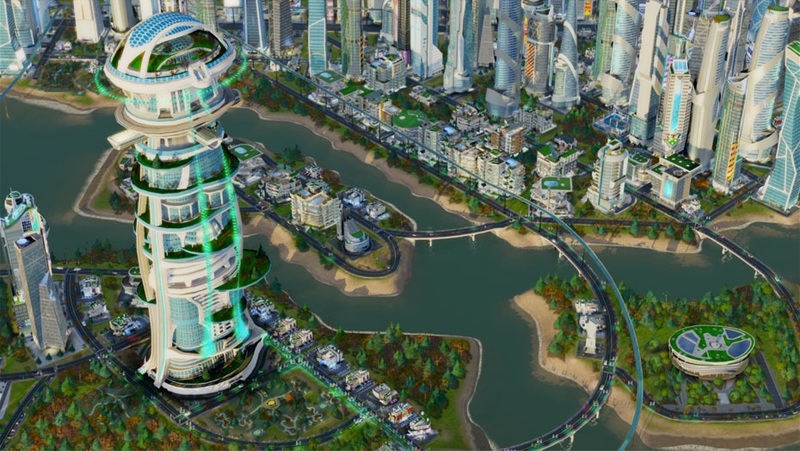 With no ability to further build outwards, the Cities of Tomorrow expansion pack at least allows you to build upwards, as futuristic cities will reach into the sky.